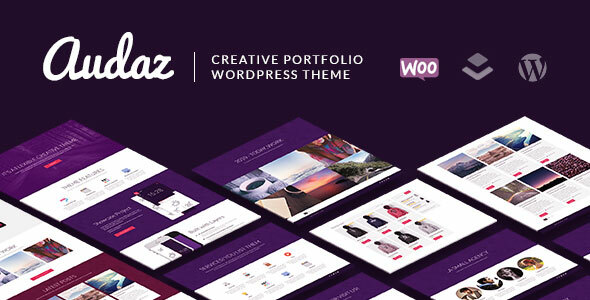 Download Audaz Creative Portfolio MultiPurpose WP Theme | BloggersStand ';-1!=b.indexOf("img.youtube.com")&&(a=' ');d=a+''+p+''+titlex+"
Audaz is a Layers WordPress Creative Theme, ideal for photographers, designers, developers, design agency & studio or whatever you want… Also, it’s flexible and compatible with WooCommerce. Create responsive websites with without knowing to code. Its easy, just drag & drop the widgets you want to use and place your content in them. Also we include all our demo pages/preset layouts. 0 Comments on "Download Audaz Creative Portfolio MultiPurpose WP Theme" So Far - Post Yours!